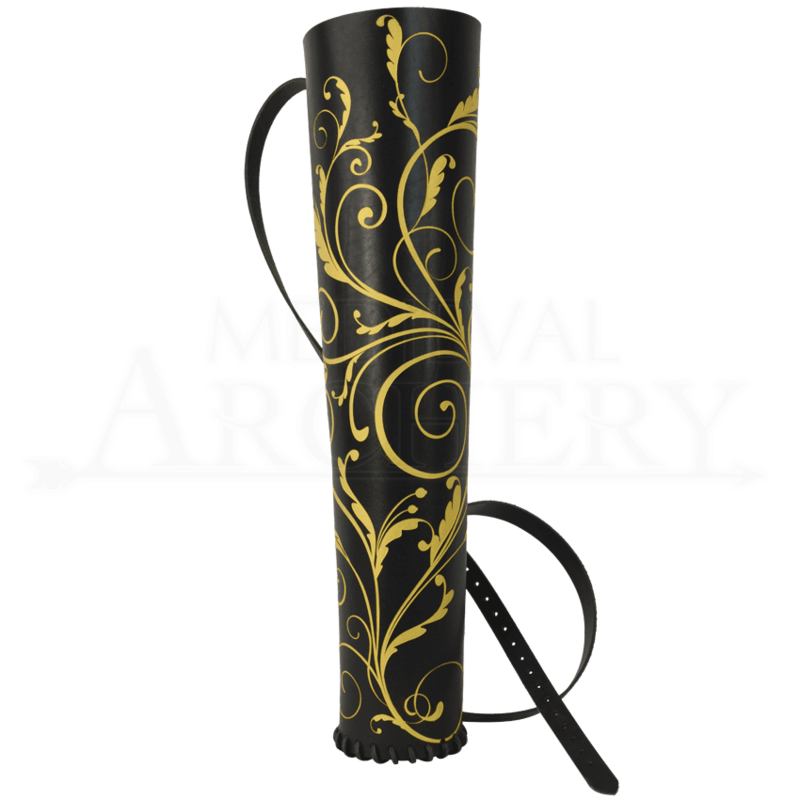 For an archer looking to elevate their kit to a more elegant design, this Filigree Elven Quiver makes a perfect choice. This archery accessory is great for LARP campaigns as well as Medieval reenactments or modern archery events. Hand crafted in our shop from 7/8 ounce leather, this exclusive quiver is available in a wide variety of color combinations. The simple silhouette of this leather quiver is enhanced with an intricate filigree pattern of curling vines. Leather lacing is used to hold the back together with an attractive crossed stitch, while the bottom displays whipstitching. 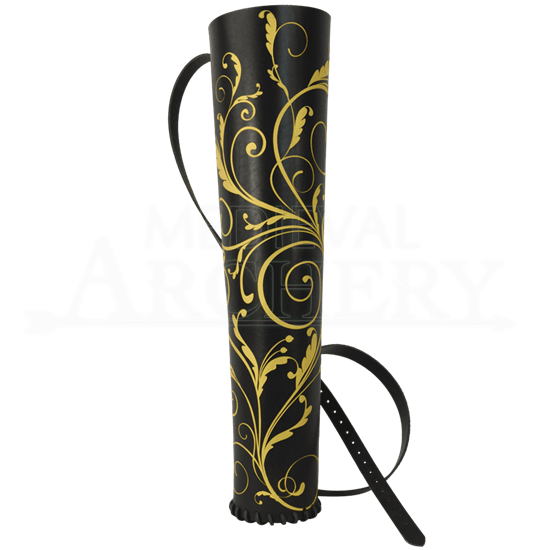 An attached leather shoulder strap is adjustable with a metal buckle, so that this archery quiver will fit archers of any size. The sleek design of this Filigree Elven Quiver will hold a number of traditional or LARP arrows. Also available is the Filigree Elven Archers Arm Guard (DK6110), sold separately.